A thank you letter, long overdue. There are millions of letters out there addressed to our soldiers. And for some reason, I feel the need to add one more. I want to make sure that we all understand, that even if you don’t support the cause, support our troops. A while ago, I read on my brother’s [USAF A1C] facebook page a quote that I can’t forget. It read “Land of the free, because of the brave.” That quote could not have summed everything about this country up more perfectly. I admire our military men/women, and only wish I had the honor.. to do what they do each and every day. Thank you. This letter goes out to every soldier who has spent a holiday or birthday away from home. It goes out to those who have gone overseas for Uncle Sam; for those who have seen the look in their childrens eyes when they leave. And for the gleam in those same childrens eyes when the soldiers return. This letter is for the Marines who keep a picture of their loved ones in a pocket close to their heart, and wonder if they’ll ever see them again every time they clean their weapon. For the Airmen, Seamen, and Army personnell who have a brother, a sister, a mother and father. This letter is for the soldiers who caught Osama. For the ones who caught Sadam. The ones who insured our freedom, once again. This is also for the ones who were there giving back-up. I don’t care if you were loading things on a ship, or fuelling up a jet, I thank you. No wait a second. WE- The United States- thank you. This letter is for the batallion that moved in yesterday. The one no one has heard from. We don’t know whether they will live or die. We thank you. This is for the sniper who is waiting on the hilltop. It’s been a week since he’s had any food or water. He’s staying his post, “just doing his job”. We thank you. This is for any veteran who has come back from war and been denied a job, or a check, or a place to live, or a thank you. We thank you. This is for any damn veteran who has lost a limb, or a piece of their spirit, or a part of their mind somewhere outside of the United States, in order to protect it. Thank you. This is for the brotherhood, the comraderie, and the overall greatness that makes our military what it is. It’s also for [and I’m quoting/paraphrasing from someone else here] everyone who has written a check out to the People of the United States of America for the amount of “..Up to/including my life.” Sincerely. From the deepest, most patriotic part of my heart. Thank you. God Bless You, and we wouldn’t survive without you. You soldiers are the blood running through this countrys body. But most of all, this letter is for the families of those soldiers, for letting them go out there and fight for us. We thank you, too. This past Friday, I was fortunate enough to attend a performance held by Mr. James Gregory.. the self-proclaimed, and widely agreed with.. funniest man in America. It was held at the beautiful and prestigious Paramount theatre. Let me be the first to tell you, he did not disappoint. When I was growing up in Northern Virginia with my father, a true Good Ole Boy, my sister gave my daddy a cassette tape of James Gregory. After work, if no one else was home, he loved to listen to that tape. He would sit at the kitchen table and listen to it… I honestly couldn’t tell you how many times. Enough times that my 9 year old brain would have it memorized in just a few months. That was also right around the time that I was teaching myself to imitate voices. Back in my hay day, my whole voice repertoire consisted of Bugs Bunny, Sylvester, Ace Ventura, this Chinese guy that worked at the 7-11 closest to my house, and James Gregory. I used to be able to imitate his voice fairly well. Some of my fondest childhood memories revolved around the hilarious wisdom recorded on that tape. My mother, bless her heart, almost without exception worked nights the whole time she was raising my brother and I. She would put my brother to bed, tuck him in, and kiss him goodnight. Then she’d do the same for me. We’d hear her head downstairs, and the door would shut, the car would start up, and pull out of our little cul de sac. Not 5 minutes later, my daddy would come get Jeremy and I out of bed, bring us downstairs, and we’d listen to James Gregory until we could no longer keep our eyes open. And when we were passed out with our heads down on the kitchen table, daddy would throw us both over his shoulders, and throw us back in bed. We were told to keep it a secret from mom, but she knew. I knew she knew, but the whole thing was just so fun! And it was like this big old secret between the “boys of the house”. It felt good, and it gives me the warm-fuzzies every time I think about it. Back to the story at hand! I was walking my puppies down state street about a week and a half before the day I wrote this. I saw on the marquee at the Paramount that James Gregory would be doing a show, Feb. 4. How excited did I get? Well, I didn’t know whether I should cry tears of joy, or pee myself a little bit. I’m not going to tell you which one happened, but there was some saturation in an unnecessary place. Jeremy ended up coming into town and we both decided that there was going to be no way in the world we were going to miss this show. We ended up getting tickets in the second to last row, and didn’t care in the least. The house was packed. And that’s saying something for a man who has been doing stand-up comedy for 20 years or more. The first man to come out was there to introduce Mr. Gregory, and his opener, Mr. Steve Mingola. He was definitely a great ice-breaker. He and the entire audience joined in a few big rounds of applause for the workers of the Paramount, the volunteers, the organist, and everyone who made the show possible. The first funny thing to happen was when he began with the cell phone speech. You know how it is, they tell you to turn off your cell phones, or at least put them on silent, or something. He then continued with: “…and if you have a beeper… you really need to get with the times and get a cell phone, then come here for a show and turn it off.” There was a little slip up though when he followed that up with: “If there’s anyone here from Grundy, Lebanon, or ‘Hay-see [sic]’…” and before he could go any further, the audience corrected him with a big “IT’S HAYSI!! !” pronounced correctly, of course. The introducer (and sir if you read this, I apologize right now for not remembering your name), undeterred and unembarassed, finished strong with: “Oh is that how you say it? Well if you’re from one of those places, the CB-radio check in is in the back corner.” Already on a roll, and the show hadn’t even started. Fantastic! The opener, a Mr. Steve Mingola was pure entertainment. I have never been to a show, whether it be a comedy act, or play, or concert, or anything where the opener was very good. But this time, I could not stop laughing! It was as if he had a direct line to the funny-bone of everyone in the audience. He talked about himself (an Italian guy) being married to a Southern woman. Hilarity at its finest. I’m not going to tell you any of his jokes, because you’d have a better time just going to see him perform, and I don’t want to take away from that. At one point, I swear to you , I turned to my brother, and could barely keep my eyes open because I was laughing so hard, and Jeremy was wiping tears off of his face. He was doubled over and could barely breathe. It was just a good time. We were halfway through just the opening act, and already I felt as if I underpaid for my ticket. You are a very funny man Mr. Mingola, and I hope you come back to visit Bristol very, very soon! I had never seen what James Gregory looked like before this past Friday, so I didn’t know what to expect. But I tell you what, he did not disappoint anyone. The tape of him I used to listen to with daddy and Jeremy was given to us somewhere around 1994. It was probably 5 years old at that time. And while I was sitting in his audience, and he came out on stage and uttered his first words, I immediately recognized his voice.. it hadn’t changed from what was on daddy’s tape in the least bit. It made me nostalgic, it made me sentimental, and I couldn’t have been happier. His performance was phenomenal. If you’re looking for some of his jokes, you won’t find them here. Look him up on youtube, he is awesome. I will tell you though, that he is as comfortable a performer as you will ever find, down here, New York, L.A., anywhere, I don’t care. He made me feel as if I were sitting in his living room, just shooting the breeze. Jeremy and I figured on about an hour, more or less for the man himself.. but Ol’ James was on stage for 2 hours and 15 minutes by himself! And it was joke after joke after joke! Back to back like that. There was not too many pauses between bursts of laughter. I really couldn’t believe the energy, stamina, and persona he had. It made it one of the best comedy shows I’ve been to (and I’ve been to a few in my short time here on Earth), and it was definitely the most enjoyable. Mr. Gregory, from the bottom of my heart, and from my family to yours, thank you for stopping by our little piece of America. Thank you for bringing laughter and joy into our lives, and please come back at your earliest convenience. To the readers: Go see his show. Stop reading my article right now, and book a flight, buy tickets, or whatever you have to do. I’ll see you at the concession stand. Papa, you remember that guy. He was a server, in the front of the house. He was a jokester in the back of the house. He showed up and did his job. He did it very well. Twice while I worked there, I found out that Papa was taking advantage of the dark parking lot on the side of the OS-Lounge. He was taking advantage of it in a way that he wasn’t using it so much for parking, as he was using it for dealing drugs. Well that’s all well and good right? He never did it inside the restaurant, and he never did it while he was working, right? Wrong on both counts. He was the dealer for most of the restaurant staff, and a lot of the customers, from what I’ve heard. I heard he served more pills/weed in the dining room of that restaurant while I worked there, than he served food. He got fired twice, rehired twice, and then fired for the final time after I had stopped working there. He was part of the crew. Schmangle. There’s another guy I haven’t talked about yet. He was a 16 year old kid who could work the cook line (most of the time) better than anyone else could. He got fired thrice by 3 different managers. But always got hired back, because he was the “golden child”. “He’s too young, he’s not mature” is what the owners/Ted would say. He always left me out in the dust. By that I mean he left an hour early which meant I had to stay 2-3 hours late. It was ridiculous closing his station when no one else would do it. He was part of the crew. There’s 4 or 5 others that come to mind that run along the same lines, but I can’t give you the details, because then I would either put myself in danger, or someone else. I don’t want to get anyone fired, and I apologize for this week’s entry being so short. I promise I’ll have an awesome one for you this coming Friday. Just remember that your cooks and waiters may not be who they seem. Even though that doesn’t make them a good waiter/waitress, it makes them a different kind of person. Do you want those people serving you your food, or even cooking it? If it happens in this little place, it happens all over the place. Keep that in mind the next time you order from a restaurant… exactly how much work goes into your food? Top 10 Tuesdays 3: You’ve Broken Your Arm. You finally cheesed your girlfriend off enough to warrant some kind of malevolence from her. Something happened on Black Friday, like you got punched by a guy getting the last copy of Mario Galaxy 2. You fell deep into a Thanksgiving Day food-coma and when you landed on the ground, fractured something. You got so stressed out during exam week, that you decided to climb a tree to relax… and it ended badly. You actually did one of the things I said in the Mad G-Friend post. That’ll get you hurt! For the entirety of the list, I’m assuming that your dominant hand is going to be the one attached to the cast. It usually happens that way, more often than not your dominant hand is your “go-to” hand, and ends up being on the broken arm. If your leg was in a cast, you can play whatever video games you want. Or go play a real life game of basketball, or whatever it is people that break their legs do. This game is as simple as it gets. You get online, type in http://www.holdthebutton.com, and after the advertisement, you click the button and hold it. Just hold the button. See how your time holds up against the competition. It’s cool because you can even use the arm that’s in the cast! You’re barely using a muscle, and it might take a while before you have to switch off hands, if that happens at all. How many muscles does it take to hold down a mouse button? Like, 2? Good luck! The Worst Game ever is really exactly what it claims to be. Get on over to Adult Swim Games and check it out. The only reason why it didn’t come in last is the fact that, unlike holdthebutton, this has characters. 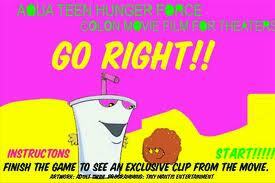 I enjoy Master Shake & Meatwad every week on their show, so why wouldn’t I enjoy them in their very own video game? Oh yeah, because this game is the worst game ever. All you do is go right. 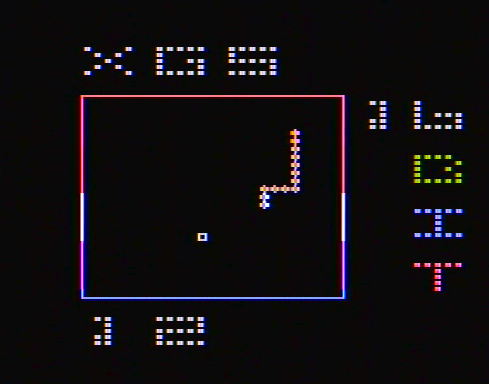 Just hold down the “right” arrow on your keyboard, and occasionally hit the space bar to jump over obstacles. Give me a break man, this game is horrible, but you shouldn’t have let your girlfriend break your arm. This game is a little trickier, and it may even require BOTH hands to play. What else can I say, you’re a snake, you have to eat balls that are supposed to represent apples, I think. You run around eating the apples, and each time you do, you grow a little longer. Keep going and don’t run into the walls or your tail, and you win. 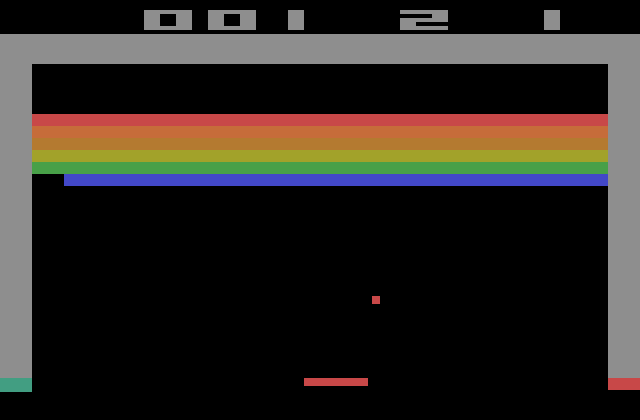 You can play this on your Atari 2600, there are a few web based programs for it, and if you still have your very first cell phone, the kind that came out in the year 2000 (Nokia), it’s on there. That’s where I remember playing it. This game is technically a video game, but you’d honestly be better off playing the games in real life. Who doesn’t have a checker’s set lying around the house? Or at least some paper and pencils to play tic-tac-toe? I picked up this game, not even opened yet, with the case & manual (obviously) for $1.99 at one of the local antique/pawn shops. I had seen where they began the selling price at $20, then a few months later marked it down to $15, then to $10, then to $5, then to $3.49, then finally to $1.99. If I hadn’t have come in that day, they would probably still have this game. Who buys these games? 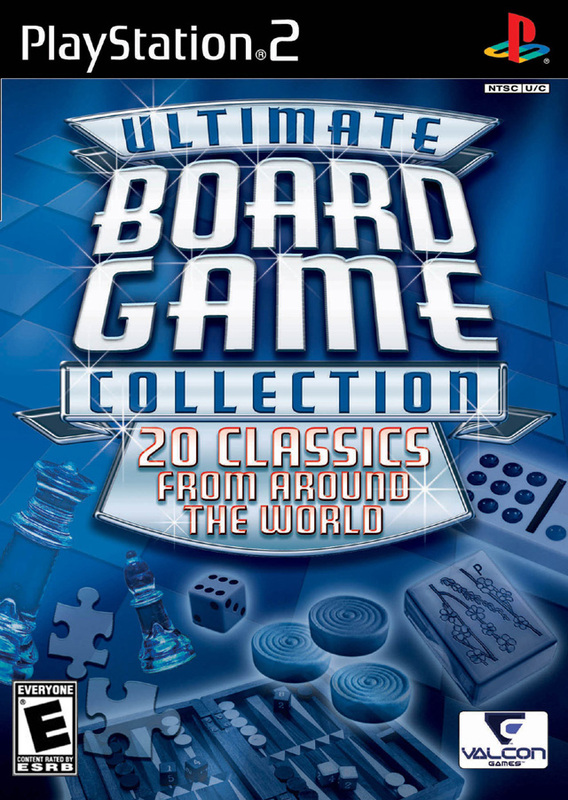 When you want a video game, you want something that you can’t do in real life.. like fly a space ship, be a black-ops marine, get in submarine battles.. not play 3-Dimensional tic-tac-toe, or virtual mancala (whatever the hell that game is supposed to be), chess & checkers. I know who buys these games… people who have gotten their arm broken by their girlfriend, because they play too many video games. And me. I see a $2 video game, and I’m all over it! Sometimes referred to as “Pong’s retarded little sideways cousin”, breakout too is an enjoyable game that requires minimal physical effort. It’s very frustrating though. You see, for those of you who haven’t played this game, you control that little red bar at the bottom. You can move side to side. The object is to make that ball bounce up to the top and clear a path so that it can reach the top and “Breakout”… of the… screen? I guess? Keep in mind this game came out in the late 1970’s, we had to use a lot of imagination to supplement graphics and plots and stuff, back then. Now we’re getting into some of the serious games. 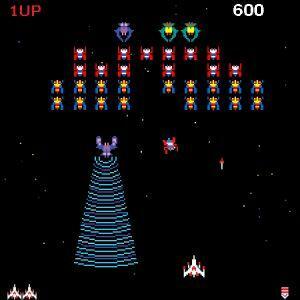 Galaga has been a personal favorite of mine for over 20 years. My cousin had it on NES while I was growing up, so I’d play all the time at her house. If your dominant arm is broken (we’ll assume it’s your right arm, because the majority of the population is right handed), all you need to be able to do is press a button with it. So if you can play “Hold the Button” with no discomfort, you can play this game. Also, this game has been ported to many, many different consoles. I see the game “Namco Museum” around a lot at the flea markets, and on eBay/Amazon. That game is great, it has 5 classic games, one of them being Galaga, and it’ll only cost you somewhere around $5. That game is even a cartridge for the Game Boy Advanced/Game Boy Advanced SP. I bought 2 for $5 in that case. 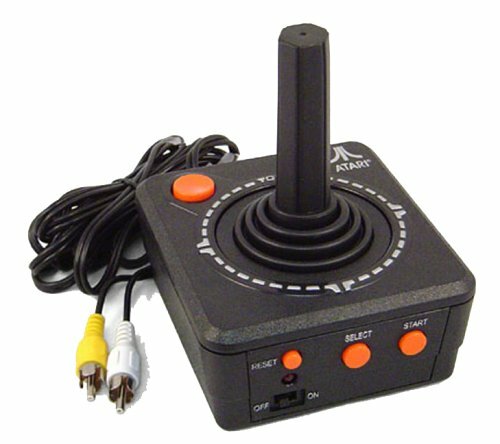 Either way, in the game you use the joystick, or D-pad, or whatever with your left hand, and your right hand is just in charge of hitting one button. ONE, button. Just the fire button, there is no jump, there is no “move faster/run”, just fire. That’s all you need to do. As much as it pains me to say this; sometimes.. SOMETIMES, WoW is a good game. If your arm is in a cast, you can definitely get some good video gaming in, and again, it requires only the most minimum amount of physical effort. I am not a fan of this game, I have played it only a few times, and never have I ever had my own account. But I do have a little brother. That’s right, A1C Dotson, or my baby brother, Jay breaks the mold when it comes to WoW players. Remember the South Park Episode of WoW? 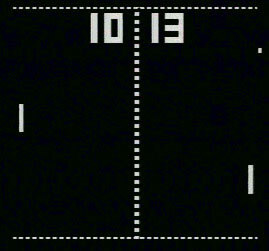 Remember the “master player” that all the kids had to beat in order to play the game? That’s a stereotype, and kind of a mean one at that. But most stereotypes are rooted in truth, and in this case, it is (I’ve witnessed it first hand). Jeremy Dotson is the exception to the rule that all WoW nerds are fat, awkward, and overall weird. And like I said, this game is nice if your arm is in a cast. Just don’t get too addicted. 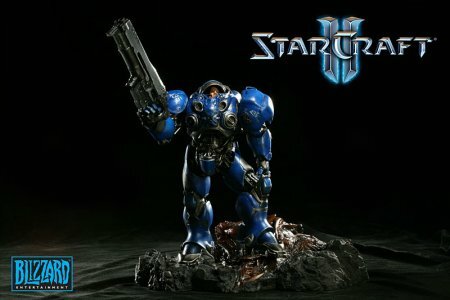 And here it is, the big mamma-jamma of RPG’s, Starcraft II. 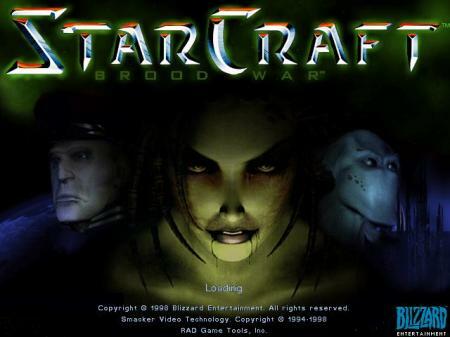 It is light-years ahead of Starcraft 1, which isn’t a bad game, even now, 10+ years later. This game is to RPS’s what Call of Duty Black Ops is FPS’s. It is what Mario is to Luigi, it is what lasagna is to Garfield, it is what Halo 1 is to me. It is the epitome of a great game you can play while having to sit around the house because your leg is in a cast. Or arm.. or whatever. 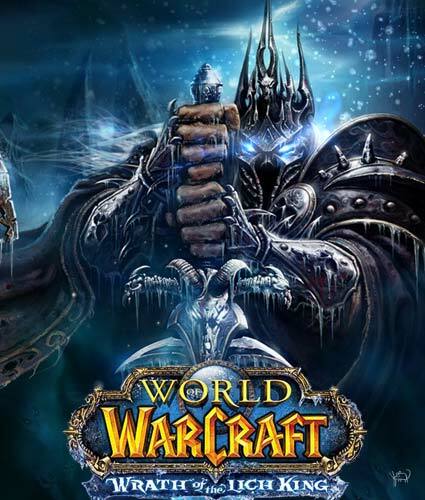 Just a side note: there was an honorary holiday in Korea on the day this game was released because all the companies knew they would be hitting record numbers of people calling in sick. That many Korean people can’t be wrong. Source. Success Breeds Success: An interview with A1C Jeremy Dotson. When you live down in this part of the country, you find some really patriotic people. I don’t know why it is, but for Southwest Virginia and East Tennessee, I find a higher concentration of military/ex-military people. You can say it’s because of the economy, or they have no other options, but everyone has their own reason for joining the military. My brother for example chose to join the military over any other option given to him. When I had graduate high school, I looked into the military, and if my poor eyesight didn’t disqualify me from it, the fact that I had a heart mur-mur when I was born, did. 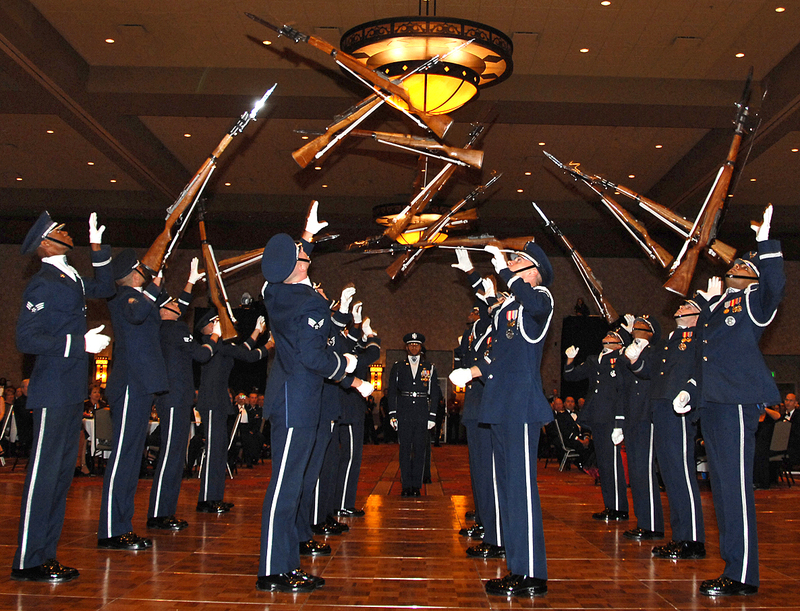 My brother went into the Air Force though, he is now a Body Bearer in the USAF Honor guard. He has tried out for the Air Force Football Team, and has won many awards. I would consider him to be “highly decorated” considering the small amount of time he’s been in the service. He is very busy, and I don’t get to see him too often, but I had been thinking about writing something up on him because I have a lot of respect for him, the Air Force, and the military in general. I was finally able to sit down with him and ask him a few questions about being a Body Bearer, what he does, how he prepares for it, and all that entails. I don’t think I really need a conclusion for this one, so I’m just going to let his interview speak for itself. Del Dotson: Okay, give me your name, rank, and organization. Airman 1st Class Jeremy Dotson: Jeremy Dotson, Airman 1st Class, United States Air Force Honor Guard. DD: What exactly is it that you do for the Air Force? A1CJD: For the Honor Guard, we work in Arlington National Cemetery. We do funerals there, or we do joint service jobs with other branches of the military. We accept Senators coming to Washington D.C., or Prime Ministers coming to Washington D.C., basically we’re the showcase of the Air Force. DD: That’s really cool. Can you take me through a day in the life of someone in the Honor Guard? A1CJD: Of course! What I do for the Honor Guard, is I’m a Body Bearer. And Body Bearing is probably the top job [in the Honor Guard], the job that people have the most respect for. Because there’s no fooling around! A regular day for me: I wake up, five o’clock. I get all my uniforms ready, get shaved and everything. Then I go meet the fallout, which is at six thirty. From there we go to Fort Meyer, eat breakfast and get ready for ceremonies that morning. And then..
DD: What time is that? What time do you finish with breakfast? A1CJD: We’re probably done with breakfast around seven ten or so. The first funeral is always at nine. We have to be there forty five minutes early. We have to make sure everything is correct and we have to make sure we all look good to perform the ceremony. DD: Fantastic. So you think.. or it is a really esteemed position. So you guys..
DD: spend a lot of time getting ready? A1CJD: Body Bearers, alone, by themselves put the most time and effort into their uniform. We have to make sure we look the best, because we’re right there out in front of the family of the deceased. This says it all. They don't mess around. DD: Very respectable. Can you tell me about the biggest job you’ve done so far in your career? A1CJD: The biggest job that I’ve done so far was Ted Stevens, the State of Alaska’s former Senator. There were so many people there, and it was televised, and we made the newspaper. DD: His recent funeral, right? A1CJD: Yes. May he rest in peace. DD: And you made the front page of the Washington Post for that ceremony? Yes. He most certainly did. A1CJD: Yes. I most certainly did. DD: Along with.. Who were the other Body Bearers there? It wasn’t just you, right? A1CJD: Haha, no. The Bearers included myself, Dominic Napp, Eric McCall, Nicholas Spencer, Robert Matthews, Jeremy Lucas, Sergent Keith Wilkinson, and Jhurel Stevens. DD: And those are all guys that you work with on a pretty regular basis? DD: Do you work with them in every ceremony? A1CJD: There’s like a “base team” and they’ll switch people out every once in a while. DD: So they have a rotating shift schedule kind of thing going on? DD: Okay so, tell me now a little bit about the beginning of your career. 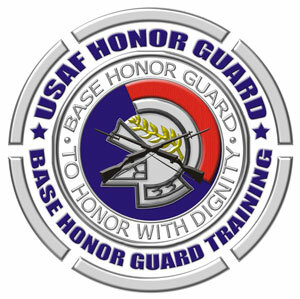 How did you get into the Honor Guard? How did you get into being a Body Bearer? DD: Wow. So you found out about it by accident and really liked it. Then you knew that’s what you wanted to end up doing, being in a highly respected position. And it’s worked out well for you so far? DD: So would it be fair to say that all of the training you’ve gone through up until this point, you use all of that in your day-to-day work. Like you didn’t have to specially prepare for say, the funeral for the former Senator Ted Stevens? A1CJD: Yes, I use all of my training every day I’m at work. No, Bearers have a job, and we do it perfectly every time. DD: So everything that you’ve learned so far..
A1CJD: We have to keep every ceremony looking the same, so the only thing that’s different about every job [funeral] is the carry to the grave-site. That’s the only thing that’s different, we do every job the same. DD: “The carry to the grave site”? you mean the pathway you take to the grave-site itself? A1CJD: Yes, other than the pathway though, every job is essentially the same. DD: And it’s got to feel really good though, when you’re laying to rest these very highly honored men. 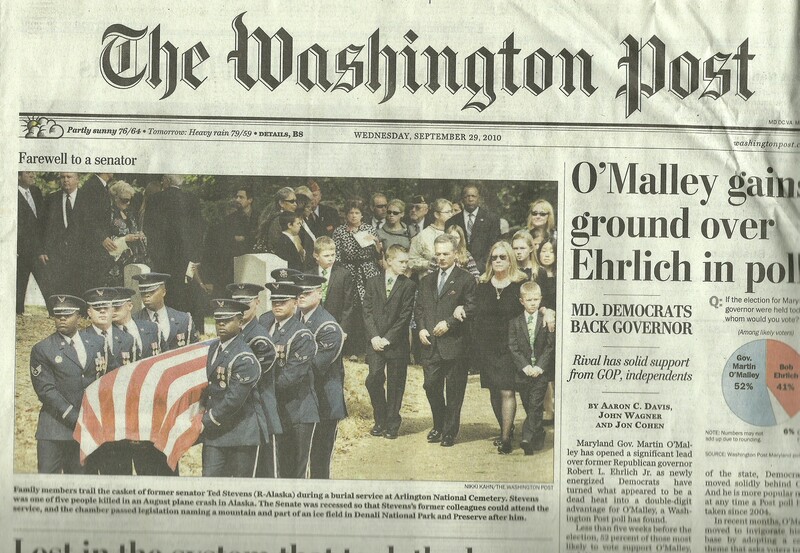 I mean, pallbearers at civilian funerals are supposed to feel really honored. So I can only imagine..
A1CJD: It’s a very high position, or highly public job. DD: You guys have a big public profile, kind of the way celebrities do? 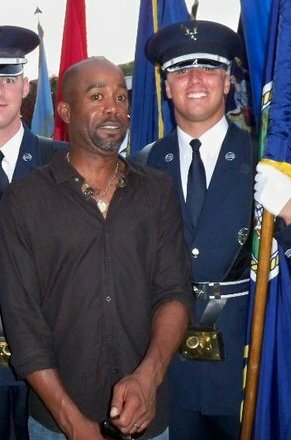 A1C Dotson, with Hootie from Hootie and the Blowfish. Dotson is on the right. DD: I know this question is kind of deep, but can you tell me what it means to be a Body Bearer? A1CJD: Being a Body Bearer is a brotherhood. We have a weight-room Physical Training Test, and if you don’t pass that PFT, you can’t be a Body Bearer. And we have a minimum requirement of lifting a very heavy amount of weight on bench, and squat, and curls. And the reason why it’s a brotherhood is because no female can do that. If there is a female that could do that, she hasn’t come through the Honor Guard yet. 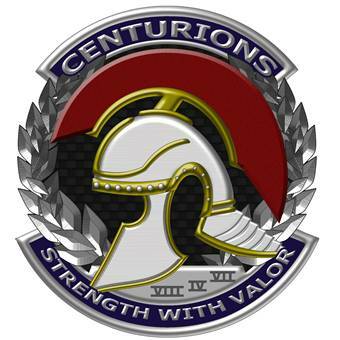 A1CJD: It’s all about your strength. Even after the Duty Day, it’s just “Body Bearer” that’s what you have to think. DD: Yeah, like, that’s it. That’s your job. And you guys do it very well I’ve seen it on youtube and news, and stuff like that. There is a lot of honor and esteem that you carry with you. I just have one more question for you. What was your favorite part of going through all of your training and everything? Was there anything that happened that just kind of influenced you heavily? It may not have been really big or anything, but you remember it and it will stay with you forever? A1CJD: Yes. There was this one time.. it was me and a friend of mine, his name is Jeremy Lucas. We had just graduated out of tech school and we were sent to a Flight. Our Flight name was Centurion. We were going to be Body Bearers, but that’s what we were told was going to be our primary element until we got our official qualifications to be a Body Bearer. So we would do Flight out in the yard for Arlington National Cemetery, but when we were back training, we wouldn’t train with Flight, we’d train with Body Bearers. There, we had this Sergent, Sgt. Edgecomb. He was telling us about the “old Body Bearers”, like how they did it. He elaborated on how the training I was going through then was never going to be like it was back in the day.. Pretty badass, if you ask me. A1CJD: ..like the training back in the day was the when golden age of the Body Bearers were. He was leaving, he was getting ready to leave, and one day he was training us and he found out that day that he was leaving for his next job the very next day. So he had to get out of there, so he was packing up, and right before he left.. we already had this thing that was going around the squadron that we we were going to go back to. It would make it so that instead of the Flights being Centurions, Titans, and Spartans, we would have Firing Party Flight, a Colors Flight a Bearers Flight, and then a Flight. And Sgt. Edgecomb said: “If it goes back to that, good luck.” He said: “I know the training is going to be hard.” but..
DD: That’s when it’s going to get real? A1CJD: Yes. That’s when it’s going to get real. He said “Good luck.” and that’s what sticks out the most to me because that was before I had any qualifications to be a Bearer. Any qualifications. DD: So it was a little intimidating? A1CJD: Yes. It was intimidating for the fact that, back in the day, when the “old school” Body Bearers were around.. That’s when there was just a Flight for Bearers, a Flight for Firing Party, a Flight for Colors, and Flight. Then it moved to the Centurions, Titans, and Spartans Flights, and then it switched back to the Bearers/Firing Party/Colors Flights, and that was intimidating. It was a huge change, because you were surrounded by Bearers all day. Like training, if there was a training day, there was always somebody to train with. If you had two people there, you could train. DD: Wow. That sounds pretty crazy. A1CJD: Yes. That’s the thing that sticks out in my mind the most, when Sgt. Edgecomb said: “Good luck.” And looking back at the point I was at then, and the point I’m at now.. makes me feel pretty good. DD: So you can attribute a lot of your success to him? I mean, even though it was intimidating, it served as that little push to make you want to succeed within the Honor Guard as a Bearer, would that be correct to say? DD: Okay, well.. I know you’re a busy guy and everything, so I won’t take up too much of your time. Is there anything else you’d like to share that we didn’t really touch on? About anything that you’ve been affiliated with, or anybody else within the Air Force that have influenced you? A1CJD: Ah.. yes. One of the people.. there were a couple different significant people that influenced me to be a great Body Bearer..
DD: I’m sure you guys are always learning from each other, and you have that healthy kind of competition going on. So I know you guys are constantly learning and trying to do better than the others. A1CJD: There’s one guy, and I’m not going to name his name but he’ll know who he is when he reads this. He inspired me to put as much time in the weight room, as much “extra-credit” work I could do with the Body Bearers as possible. Even after the Duty Day is done, nobody in the Squadrons would train, but I would go there and I would train. I’d help myself out. I’ll read the O.I., which is like, the instruction manual for how to do everything. I’ll read the O.I., and I’ll take it word-for-word, then I’ll do everything exactly the way it says to. Because for my full evaluation, no one wanted to train with me. There would only be one person that would train with me. It was this one guy, he said: “Whatever you do, whenever you want to train, you let me know and I’ll train with you. Because we want you to be up there too.” But he was gone that week.. the week I was getting my full qualification, my full honors qualification. So I would just go in there, read the book, and practice for my evaluation in there by myself. By the time I knew every movement, I could basically call the job if I wanted to. but when you eval for your fulls for the first time you can’t call it. So you have to be one of the extras there. If you know how to call the job, it’s already giving you a heads up for what’s coming next. But the guy that I’m talking about inspired me to put in all the extra-credit work for the training, in the gym, and then just eating right. He’s the one that inspired me. Plus they friggin' get to juggle guns. DD: So he gave you a bunch of overall guidelines for how to be the best Bearer you can be. A1CJD: So that’s what makes me want to go put the extra time into the training. DD: Yeah, so you can go above and beyond. DD: Okay, well thank you for your time. I know you have to get back to base, I know you’re busy. Thank you for letting me in on all of this and thank you for serving our country. A1CJD: Oh yeah, no problem. It’s my job! Thank you for everything. I hope your readers enjoy it. Okay, I lied, I’m going to put a little conclusion here anyways. I just wanted to give another thank you to A1C Jeremy Dotson for his time, I’m very proud to be his brother, and wish him all the best. I want to thank everyone he works with too, they all have done outstanding jobs from what I’ve seen, and I hope to see them more. A good video to watch is found right here. I speak on behalf of everyone I know by saying Thank You A1C Dotson. You are currently browsing the archives for the Jeremy Dotson category.